I've been playing Flight Rising since September, and I like it. It's got nice art and a pretty well-thought-out system, so I thought it might appeal to NCers! In FR, you control a clan of dragons. You can breed them, sell them, trade them, and battle with them, and the devs are working on a future "adventure mode" where you'll explore the land, complete quests, and do other RPG-type stuff. The entire userbase is divided into 11 "flights" -- Light, Shadow, Nature, Plague, Arcane, Ice, Fire, Water, Earth, Lightning, and Wind. These exist in different geographical areas of the game's world, and each flight has its typical qualities -- Lightning flight is all about science, Arcane is more magical, Light is into books and learning, Shadow flighters are tricksters, etc. The flight you choose determines your hatchlings' eye color as well as the appearance of your clan pages and the location of your nest. You also have access to a special flight-only forum. Every week, whichever flight exalts the most dragons (sends them to serve their god, removing them from the game) is "dominant" and gets special perks. Flights usually work hard for dominance with coordinated exalting efforts, raffles, and the like. The battle coliseum has a neat system and is a great way to make treasure, especially if you assign your stats properly -- here is the best guide for that. I spend most of my time in the coliseum. There are also a few HTML5 games to play, including a Faerie Bubbles clone. Each dragon can have a familiar (like a minion or a petpet), and you can dress dragons up in different apparel. There are also different skins available on site that completely change a dragon's look, and users can also submit their own skins and accents (accents cover up to 30% of a dragon's surface and can add neat effects). The site is still closed to new membership most of the time because high traffic tends to overload the servers, but the devs have been working on improvements over the past few months, and the site has been very fast and stable lately. They are opening a registration window from Monday, April 14 at 5am PST to Tuesday, April 15 at 5am PST, so if you want in, you have a full day in which to register. I'm Cranberry there, natch, so if you do sign up, send me a friend request! Check out the encyclopedia for more details about everything, look at the forums and the other pages you can see without being registered, and go ahead and ask me any questions you have about the site; I can most likely help. Last edited by Cranberry on 13 Apr 2014 08:11 am, edited 1 time in total. That looks really cool and I'm quite tempted to sign up and poke around.... Would you be able to post again a bit closer to the sign up date so I get a reminder in my email inbox? Is there much of a roleplaying community on the site? I'll post again on Sunday night to remind people of the window, sure! I don't roleplay, but I have several friends who do, and there's a Roleplay Forum that I think you can read without signing up, if you want to get an idea of what it's like. The Flight Rising Tumblr tag is also very busy. I mostly play in the coliseum, and I also breed for specific color combos. It can be more challenging than you'd think! 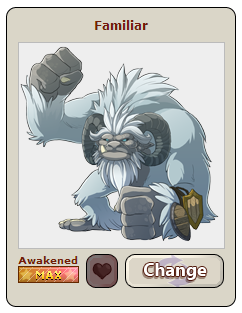 It took me a few months to selectively breed for all of my orange range/white/white dragons. There's not a ton else to do right now, but the community is fun, and the devs have been adding new content frequently. All in all, it's much more professional than most new petsites. Oh, and a few more things I love: Dragons' names don't have to be unique, so you can name them whatever you like. You can buy any of the premium currency items from other users using the standard currency, and people often sell the premium currency on the forums -- it's similar to how Subeta does things. And unlike at Neo or Subeta, it doesn't take years to get top-level battle dragons. Hmm looks interesting and I really love that names don't have to be unique! I think I'll try and check it out if I can. This is a reminder to sign up if you're interested! Registration window opens five hours from now (5 am PST) and runs for 24 hours. Choose your flight carefully, because it affects your hatchling eye color and all of your nests/backgrounds/etc. The different flights also have different communities in general -- Earth is the smallest flight and is known for being friendly and excellent at dominance; Plague has a lot of battlers and is a dominance powerhouse; Ice is a former dominance powerhouse and is known for rich users and lots of breeders (and has a bit of a bad rep as the "cold"/mean flight); Light is not heavy into dominance but is a friendly community with lovely eyes (their hatchlings sell well); Wind is big and welcoming; Shadow is big and not well-organized when it comes to dominance; Arcane and Fire and Water and Nature are all fairly average flights that come together nicely for dominance pushes; Lightning is very organized and does most of the "SCIENCE" stuff on site (surveys, spreadsheets, stats), and is also a very good dominance flight. This Tumblr has more info about all of the flights. You get to choose one of four starter breeds when you join, and you get to choose the primary and secondary colors. 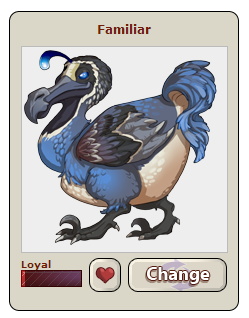 The tertiary color is randomized and is not visible (it's basic) unless/until you buy a tert gene scroll later on. You will also be given a completely randomized second dragon of the opposite gender. These are your progenitors, or progens, and you can't sell them or give them away. You can exalt them if you dislike them, but you won't get any rewards. You can buy yourself some more dragons on the auction house (they're not really auctions; the price there is the price you pay right away), and there will also be tons of newbie raffles and giveaways in the forums. If you want to get into battling, find yourself a third adult dragon, name it (unnamed dragons can't battle), and follow this guide! 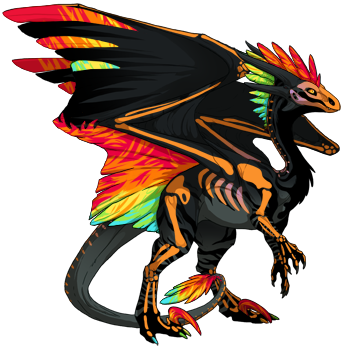 This site is excellent for showing you the possible color range of any two dragons should you breed them. 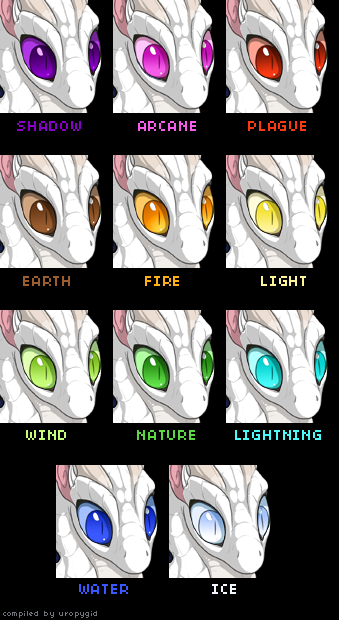 Once you're logged in to Flight Rising, you can also use the on-site Scrying Workshop to plot out color and gene schemes you like and check to see if two dragons are unrelated. Make sure to use your gathering turns every day, and to get your free item from Pinkerton and see if Crim wants to trade for anything you have! Also remember to bond with your dragons' familiars -- on each dragon's profile page, give them a familiar and then click the heart icon to bond with it once a day. As it levels up, it will give you treasure chests containing treasure and apparel and other good things. The highest level is awakened, which gives a nice gilded chest with random (decent) rewards inside. I think that's about it! Again, I'm Cranberry there as well, so feel free to send a friend request if we know each other, or a message if you need help with anything. I also have some extra familiars and things that I can hand out to help get you started! Thanks, Cranberry! I made an account and put your name as referrer, obviously. Hopefully you get prizes or something. It seems the site is a little bogged down, but I picked plague because, well, that sure as hell looks like home. Now I'm poking at colors and feeling like there are too many awesome options. There aren't any referral prizes; I just get a few gems (the premium currency) if you buy gems down the road. I do appreciate it, though! It notifies me when someone I refer signs up, which is cool. And yes, I figured that was you when I saw that you'd joined Plague! The site seems to be holding up well... it's slower than usual, but it's hanging on. We have triple the number of people online that we usually do. I think the coliseum is struggling a bit, but they'll fix that up. A few months ago, the site would have exploded! They've extended the registration window to 1:30 pm PST/4:30 pm EST, so if you still want in, you have a few more hours! The site's running great despite the higher-than-usual traffic. It's nice to see all the new blood, too! The site seems pretty kool so far. My username is Griffling if anyone wants to be friends. I'm currently stalking the auction house for a cheap, nicely-colored female baby Snapper (so cute!) and maybe a male Imperial too. I like the system of being able to breed pets, sell them, and name them whatever you want - so much more laid back than Subeta's name vulturefest. I forgot to say, my username there is Chaostrophy. I bought two dragons last night--feeling very happy with the site so far. The only thing is, I went to start the battle guide Cranberry linked for us, but there's no "scratch" available in the auction house. I have no idea how to get it otherwise. Also, I'm amused to think how all these hatchlings 5 days from now are gonna affect the auctions! Oh right, different dragons have different battle stones and builds by default, so if your dragon comes with meditate or anticipate, you'll have to switch it out for a scratch (you can make caster or tank dragons, but they're not the best for leveling quickly -- glass cannons are the best). Scratch stocks in the Marketplace for 250 treasure (the marketplace has a chance to restock every five minutes, right on, or very soon after, the minute -- so at 12:05, 12:10, 12:15, etc.). All righty, I'll keep checking. I'll need to get Eliminate the same way, seems. Ahaha I got scratch! That took a bunch of refreshing but luckily I was in a determined mood. Whew. Hopefully it won't be quite so difficult to achieve again in the future. I am really impressed with their battle system, though--clear, easy, pretty, and boy do I love to get loot. Any loot. All loot. Yes I will take six fragile antlers that is awesome no I dunno what to do with it but it's mine now, yes. I joined as well. I'm TCStarwind there, too. I'll go add you guys. Otherwise, I still have no idea what I'm doing. But I also want a couple snappers. They're cuuute.